Professional services sales and marketing departments have been akin to siblings, who know each other well but have intense rivalries. As the Harvard Business review explains, marketing and sales departments have complementary functions, but different focuses and personalities. Marketing teams often look a long-range market conditions, while sales is attentive to serving immediate customer needs. In addition, marketers tend to be analytical and data driven, while typical people engaged in selling professional services are extroverted relationship builders. Thanks to the Internet, these competitive siblings have opportunities create new alliances to empower professional services business development. Those responsible for marketing professional services firms have an unprecedented opportunity to use online marketing to fuel dramatic business growth. New ideas about how to market professional services are emerging. Adapting to the new connected world has been an evolutionary journey for professional services business development. By getting to know differences between past and present marketing concepts, you can employ emerging best practices and learn how to sell professional services. 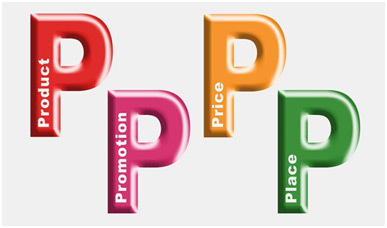 In the past, marketing owned a professional services firm’s positioning strategy and was responsible for all four Ps. Marketing would conduct a detailed market and competition analysis, then hand off a packaged offering to the sales team to sell. Sales would often complain that pricing was too high or that the features of a specific package did not synch up the customer’s true needs. Often, sales focused on lower priced solutions or cut deals to win new business when selling professional services, so marketing complained that their sales siblings didn’t look to the future enough. What happened? The marketing-sales divide deepened. This signaled a need for professional services business development to change. Thinking had to evolve to better address the unique needs of marketing for professional services firms. This evolution gave more credence to sales’ long-standing claim that customers’ specific needs were as critical as the offering itself and changed thinking about how to market professional services. As a result, marketing for professional services firms evolved to add more customer-centric insights into offering design. No doubt about it: the Internet has brought a wealth of new ways for professional services firms to engage with their target audiences. Before the advent of online marketing, professional services marketers spent most of their energy on attracting new prospects. They used a wide swath of pricey outbound techniques—everything from television ads to trade-show booths to cultivate brand awareness when marketing professional services firms. Today a top-quality professional services marketing plan creates inbound messages that draw customers in and help prospects find the services they need exactly when they need it. Old school “push” tactics like mass mailings to big lists and cold calling by salespeople are less relevant to marketing professional services firms in today’s connected world. Instead, selling professional services requires new inbound approaches—such as blogs, social media, and Web sites—to give firms visibility and let customers come to them. Marketing for professional services firms has taken on new dimensions. Now, professional services business development teams in marketing and sales can join forces to guide prospects through the sales funnel and nurture lasting customer loyalty. As social communities blossom, your tech-savvy customers can readily engage with you online via two-way communication channels and offer you feedback to make your professional services marketing plan even stronger. If you have to learn how to market professional services in today’s connected world, you need not worry. You’re not alone. Still, you have access to all the insights you need to show you how to sell professional services. 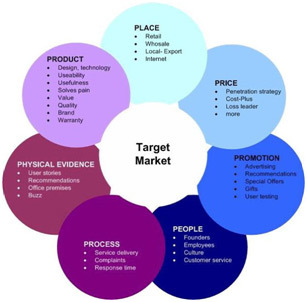 A recent study of 500 firms shows a typical professional services marketing plan has significant room for improvement. While 77% of respondents generate some leads online, far too many professional services firms of every size and maturity level are still relying on costly, outdated “push” or “interrupt” marketing tactics. Nearly half of all respondents generated less than 20% of their sales leads online, with almost a quarter producing no online leads at all. Research also shows what fast-growing professional service firms are doing differently in online marketing. You can rely on their proven success to determine how to sell professional services in your organization. 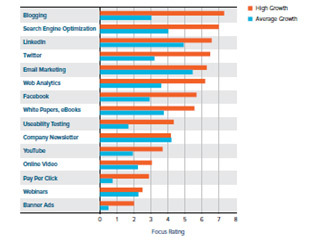 High-growth professional service firms place more focus on business development tactics such as blogging, SEO services, and email marketing than their average growth counterparts. Plus, fast growing firms put more emphasis on connecting through key social channels such as LinkedIn, Twitter, and Facebook. Take ActionThe result: high-growth professional service firms generate five times more leads online than those growing at an average rate. You can learn from the success of high-growth firms. With smart tactics, you can create a comprehensive online marketing plan and have better success in selling professional services. Without a doubt, thinking about how to sell professional services has changed radically. Today, your professional services marketing plan should have a strong online component. When this occurs, your marketing and sales teams can play a part the full lifecycle of the customer relationship. A solid online strategy lets marketing and sales discard their long-standing sibling rivalry. This empowers both teams to focus on how to sell professional services which meet meet customers’ true needs. Do you have innovative ideas about how to market professional services online? What are you doing to create a unite your marketing and sales teams to create a stronger professional services marketing plan? 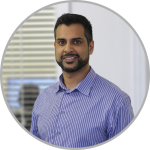 Zamir is a seasoned entrepreneur with over 15 years of experience of providing expert inbound digital marketing advice to a variety of B2B clients. He has orchestrated the digital success of several organizations, with some clients getting 7000% ROI as a result. As a member of the Entrepreneurs’ Organization, Zamir also has over a decade of experience mentoring young entrepreneurs. As for his keys to success? Zamir credits everything to meditation and focus. 4 Myths About Content for B2B Service Firms and How to Overcome Them. Is Your Strategy Up-To-Date?